We are all horribly overexposed to medical, chemical based antibiotics. They are added to the feed of the factory farm animals that we consume and they are given to everyone for something as simple as a cold. As a result, there are more and more virulent strains of antibiotic resistant bacteria developing all around us. Consider MRSA and flesh eating bacteria, both of which ignore antibiotic treatments and go on to kill otherwise healthy, young, vibrant children and adults. Consider the respiratory diseases that you hear about all the time, which seem to kill with impunity. And the large number of food born illnesses like E Coli and Salmonella, coming from otherwise over medicated animals and over fumigated farm lands. So, what, you ask, would be a solution? 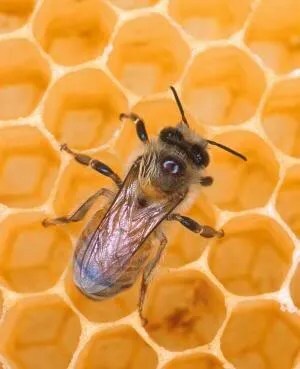 Raw Honey makes an effective topical antibacterial agent. This is not your usual run of the mill Honey that you buy at the grocery. You will have to buy this directly from a local Bee keeper because once Honey leaves the farm for market it gets processed into sugar. If you don’t have any Bee keepers in your area, then hit the health food store or local co op. They will likely have it and if they don’t, they can order it for you. When you have wound or sore that seems to be getting infected, dress it with Honey. This produces a kind of hydrogen peroxide that comes from the Honey mixing with your body fluids and this has an antiseptic effect. In fact, Honey is used to treat antibiotic resistant strains of bacteria, and this by medical professionals who are getting exasperated in their efforts to destroy some of these infections. You can apply Honey on the body ANYWHERE and do it safely. Oh, I know you’ve heard about this so many times it sounds like an echo. But how often do you actually remember it, or make use of it, when you get an infection? Recently I had a serious tooth infection with a gum boil deep under the root. It wasn’t super painful, lucky for me, but it was hot and red and getting HUGE. I can’t afford a Dentist and I have no insurance so I started rooting around the house and searching for ideas. Garlic came to mind. I put fresh minced Garlic along the gum line next to the cracked tooth and allowed the juices to flow into the wound. It seriously shrunk the infection over a period of a day or two and took all of the redness out. I kid you not. Now, I could not finish it off with just the Garlic, as soon as I quit using it, the thing began to grow again. So that’s when I went to the next idea, and that did the trick. But before I move on, I want to put in one more cheer for Garlic. I had an ear infection years ago when I was working long hours and had no time for the Doctor. In fact, I lived and breathed my work and hardly did anything else. I just dealt with the pain and fever and went on about my life. One afternoon I went to lunch with some of the women who worked for me and we had Italian. I ordered extra Garlic for my entree and ended up eating a whole small bowl full of it! I thought my head was on fire and my ears got especially hot. But the next day, I swear to this, the earache was gone! Still, I didn’t put the two together at the time, still being a convert of the conventional wisdom and not one to believe in “alternative” medicine, but I have put it together since. Don’t discount Garlic until you try it. I promise you it will amaze you if you do. Now, this was the final solution to my tooth infection problem and I will swear by this to anyone. I ended up shoving a dry tea bag in between my tooth and my cheek, tucked in along the outer gum line, near where the crack in my tooth had allowed the bacteria to enter. And, OMG, I was shocked to see what happened. First of all, my mouth was as dry as the desert and my tongue and cheek seemed to have shrunk, but the best part was: my infection was gone! I mean completely gone. There wasn’t a bubble, there wasn’t a red spot, there wasn’t anything left but flat, pink gums with no sign of infection. Amazing! I don’t know how or why this worked, I had read about it somewhere and decided to give it a try and was amazed at how much it actually helped me. So it helps with teeth infections, this I can swear to, but there are other applications for a tea bag, too. If you have an open sore, cut, wound, boil, cyst or whatnot on your body that you can feel is infected or has a head of pus, use a tea bag! Put the tea bag over the sore, and this should be a DRY tea bag, DO NOT WET IT. Tie it, tape it, rubber band it on, whatever to hold it in place and leave it. If you leave it on for a day or two.. or at least until you take your next shower, when you remove it, I guarantee you will be amazed. The sore will be smaller, going away, if not gone already. Try it! You will be so happy that a tea bag took care of it instead of taking pills or using expensive creams. This is another treatment for surface wounds, sores and infections. 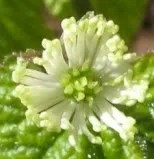 Sprinkle it directly on any wound, or make a paste with a small amount of water for an injury or cut that is festering. Cover it with bandaging and leave it in place. It will take care of that wound, make it go away, I promise you. This also works as a great eyewash if you have an eye infection, pinkeye or a stye. Simply mix with warm water and wash your eyes with it. Where do you get Goldenseal powder? Well, it should be available at your local co-op or natural foods store. Otherwise, look in the phone book and track down a herbalist. This powder is not cheap but a little goes a long way. You really do not need to use much. This is an oil that comes from the Melaleuca tree of Australia and it is well known as a versatile natural first aid treatment. Use topically for any wounds, just as you would garlic, goldenseal or a tea bag. It will also help with athlete’s foot and even ringworm if applied directly to the skin. This is a very strong oil so follow the directions carefully and keep it away from your eyes, nose or mouth. Tea tree oil is also said to be effective against lice. You can rub it directly into the hair to get rid of the critters. It is safer and less harsh than the treatments you buy over the counter. I realize that most of these are for topical infections only. What to do when you think you have an internal infection? Well, these ideas will help for that, too. 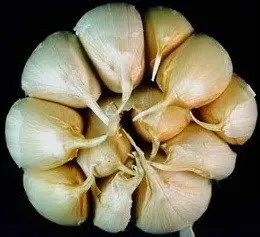 Eat whole cloves of Garlic, as many as you can tolerate. Drink Goldenseal tea. You can take eat Raw Honey and Echinacea.. both are good with urinary infections. But remember if you have an internal infection with more than a little pain and a raging fever, please see a doctor. This would be one of those rare occassions when you would submit to pharmaceuticals. You don’t have to do this that often, but you should always do it when you must. Based on my study, clove oil and betel vine leaf can also be natural antibiotic agent. For more information, visit my weblog.